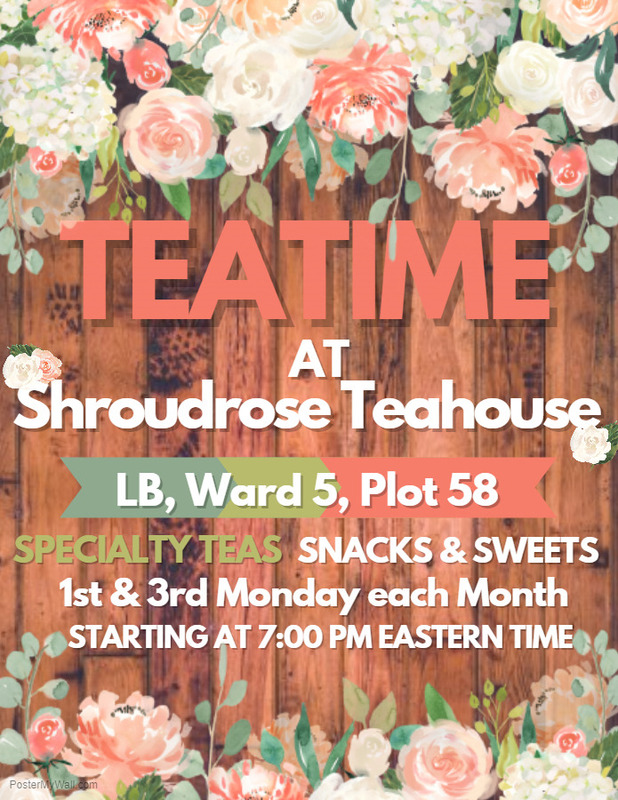 Join Teatime <<Tea>> at 7:00 PM eastern time on Monday, June 18th at the Shroudrose Teahouse and Tavern located at Lavender Beds, Ward 5, Plot 58 nearest the Lavender Northeast Subdivision aetheryte. Come try Shroudrose’s specialty blends of tea! Enjoy a cup in our tearooms on the main floor and second floor (including our far eastern themed rooms), or purchase some to brew at home! You can always cozy up in our library to read or get some work done while you enjoy a cuppa. Snacks and treats will be available to compliment your tea.